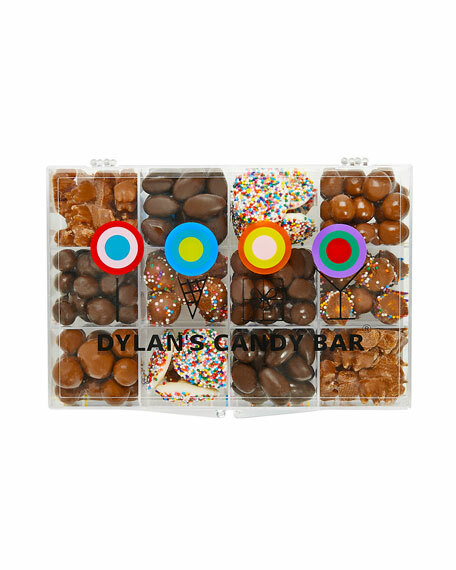 This exclusive Dylan's Candy Bar tackle box is stuffed full of delicious chocolate treats! Featuring a delicious blend of flavorful chocolate favorites. This makes a great treat any day of the week! 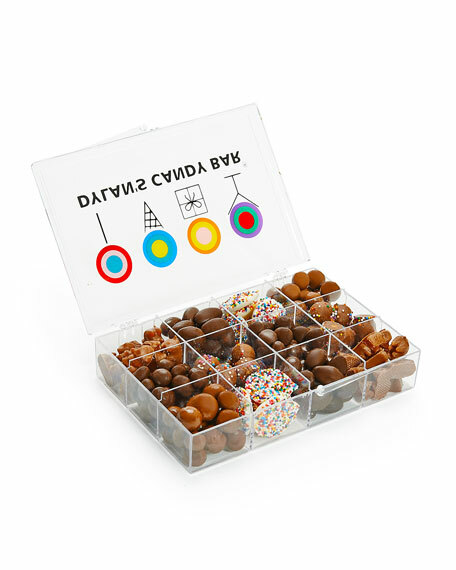 Chocolate Tackle Box includes: milk chocolate pretzel poppers, dark chocolate-covered almonds, chocolate covered gummy bears, dark chocolate-covered raisins, chocolate-covered cookie dough and white chocolate nonpareils.